At the end of each year, the ABC Family gives a gift to Bobby & Matt, ranging from bike gear to Cowboys tickets to GoPros. So after almost 30 years of gifts, what do you get the two guys that now have everything they need? 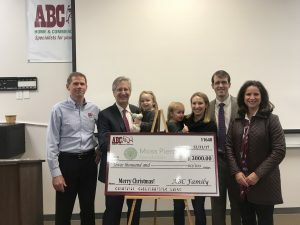 In the spirit of giving, starting in 2015 the ABC Family pays it forward by making a donation to the Moss Pieratt Foundation on behalf of Bobby & Matt. For the month of December, your donation made through this page will go towards the ABC Family gifted donation. For questions on other ways to donate (cash, check, payroll deduction) contact Michele Nelson, Heathar Burton, Steve Ambrose, or Chelsea Jenkins. We will send a receipt for tax purposes. The Moss Pieratt Foundation aims to fund research and promote awareness regarding the sudden unexplained death of children over the age of 12 months, while also honoring the joyful life of John “Moss” Pieratt, Jr.